Many of us may not share the exuberant enthusiasm that Mr. Boyer does about health and metabolism. Or maybe you do! Regardless, both are essential to a healthy and happy life. According to WebMD, metabolism is “the process by which your body converts what you eat and drink into energy.” You consume a food or drink, metabolic processes mix the calories derived from the food/beverage with oxygen, and the byproduct is deliverable energy to your body’s cells. One’s basal metabolic rate – or number of calories needed to sustain energy functions – accounts for approximately 70 percent of all the calories we burn every day. 70 percent! Therefore, it is important to ensure that our metabolism is in working order. We’ll see that nutrition and metabolism are inextricably linked; often feeding off one another, and playing key roles in our overall health. Today, we’re going to discuss metabolism a bit further. 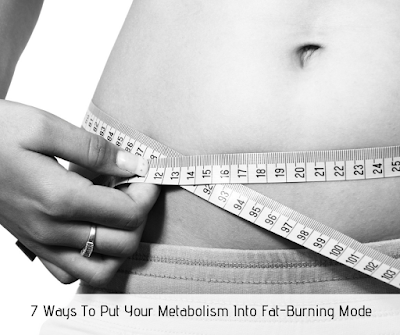 More specifically, things that we can do to transform our metabolism into a fat-burning machine. The amount and quality of our sleep has a big effect on metabolism. People who are deprived of sleep unknowingly alter their appetite/hunger hormones, increasing the likelihood of either overeating or eating unhealthy foods. In a study undertaken by Stanford University and the University of Wisconsin, adults who slept for five hours or less per night tested for higher amounts of ghrelin – a hormone that stimulates feelings of hunger. Additionally, these individuals tested for lower levels of the appetite-suppressing hormone leptin. Sleep professionals recommend adults get a minimum of 7-8 hours of sleep every night. Younger demographics (i.e. young adults, teenagers, school-age children, preschoolers, toddlers, infants and newborns) require anywhere from 8 to 17 hours per night, according to the National Sleep Foundation. Physical activity plays a direct role in how well your metabolism functions. This is mind, you should make it a priority to get daily exercise. We’ve said this many times, but it bears repeating: exercise need not be a chore. There are plenty of things one can do to get the recommended amount of physical activity: aerobics, jogging, running, swimming, tennis, walking…the list goes on. All of these activities get your heart rate and metabolism going. Also, it is completely fine to break exercise up into two (or more!) sessions. Ideally, you should aim for 60 minutes of physical activity every day, but any amount of exercise is better than zero. You know that you’re waking up too late when there’s just enough time to perform all the essentials before heading out the door. Here’s a big question: are you making time for breakfast? It may sound redundant, but breakfast is the most important meal of the day, and this includes for your metabolism. Even a quick, nutritious breakfast is okay. Grab some oatmeal or a cereal bar if you have to. Of course, get some exercise if possible! We really should get away from the “three square’s a day” line of thinking. The reason? Because its healthier for your overall health, including for your metabolism, to eat 5-6 small meals. Eating healthy foods five or more times per day boosts metabolism by providing a steady influx of energy. Compare this method to three large meals, where we often feel stagnant and fatigued afterwards. Of course, eat mainly healthy and nutritious foods (e.g. fruit, nuts, vegetables, etc.) when following this eating schedule. A bonus: eating more often throughout the day boosts your brainpower, too! Water really is a magic elixir; it contains no calories, yet it is invaluable to health. The effects of dehydration are potentially detrimental to our health goals, including the goal of healthy eating. Physiologically, our brains have a way of interpreting thirst for hunger, and we’re more likely to crave unhealthy foods. Here’s an idea. The next time that you are experiencing untimely hunger pangs, drink an 8- to 12-ounce glass of water and wait 20-30 minutes. If you’re still hungry, by all means eat something, but try and make it something healthy. Research shows that calcium can boost that all-important basal metabolic rate we discussed earlier. Of course, this can manifest into weight loss as well. For those of us who love a spicy dish, this is some welcome news. Spicy foods and ingredients may boost your metabolism. It works like this: when we eat spicy foods, our internal body temperature rises. When our body temperature rises, heat is released. Consequently, our metabolic rate rises and burns stored fat as energy. Also, spicy food has been known to increase feeling of satiety, or fullness.